So it started with Rs. 999 then Rs. 499 and now Rs. 199. Reliance Mobile has announced their aggressive decision to launch a lifetime prepaid card which will be the cheapest offering up till now. Two years back, they were the ones to introduce a lifetime prepaid card which made other operators to follow the suit. And this year too, they are starting a trend. So what’s so special this year apart from a reduction in price? Well they have removed the restriction of recharging a certain amount to keep the number active. A user can enjoy uninterrupted service for lifetime. This is a smart move by them because an influx of new subscribers would mean that they can pitch in their VAS to more customers. After all, it is the highest profit making area for the operators. The offer will be out soon in the market. 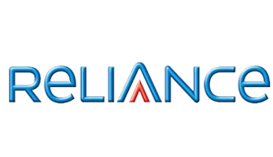 UPDATE: As pointed by our reader, Reliance indeed wants us to recharge with a minimum of Rs. 200.
its say that after 6 month Recharge is required to continue the incoming call facility.plz check carefull and show the true info. Requested to telegyaan team,plz show True info!! Do we get full talktime on top ups under the lifetime @199? Otherwise It’s not that good. Anoop, you would just get the connection for Rs 199. You need to purchase the handset. Does it apply for new connection i.e the stater kit cost Rs 199 or after buying the starter kit we have to rechange with 199 RCV??????????? Can any one have update on the time line for Reliance GSM service in delhi for the public ?